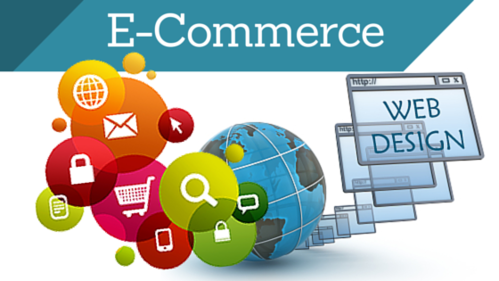 Many people contact us concerning eCommerce web site design. If you are not involved in the day to day design of eCommerce solutions it’s sometimes difficult to understand that eCommerce design is generally only one part of a larger web site. Your eCommerce design must fit perfectly into the rest of your website. eCommerce website development for small businesses is so much easier today than it was in 1997 when Web Transitions started doing e-commerce sites. The technology was less sophisticated and almost no one had high-speed Internet connections. Today the process is much easier, the costs are much lower and the opportunity for success is much higher. Over the last 8 years, we have learned a lot about e-commerce web site design and about what site users like. For instance, we have found that your site visitors are very used to seeing product categories displayed on the left side of a catalog. That’s where the categories are in almost every e-commerce site you visit and so the visitor knows intuitively how to navigate your site. We have also learned that having product categories more than two levels deep appear to confuse visitors and that main navigation links should be at the top of every page. Fortunately for our customers, we have the capability to write our own software. That’s why LetMeShop, our e-commerce solution software, is designed with these visitor preferences in mind. Every new version includes new ways to help you market the site, increase your sales and decrease the cost of marketing the site. Of course, if you need to have a custom eCommerce website developed we can accommodate your needs. The most important factor for most small business eCommerce web design is cost. LetMeShop is also able to meet your need to get into a catalog site for a reasonable cost with features designed to help you be successful.